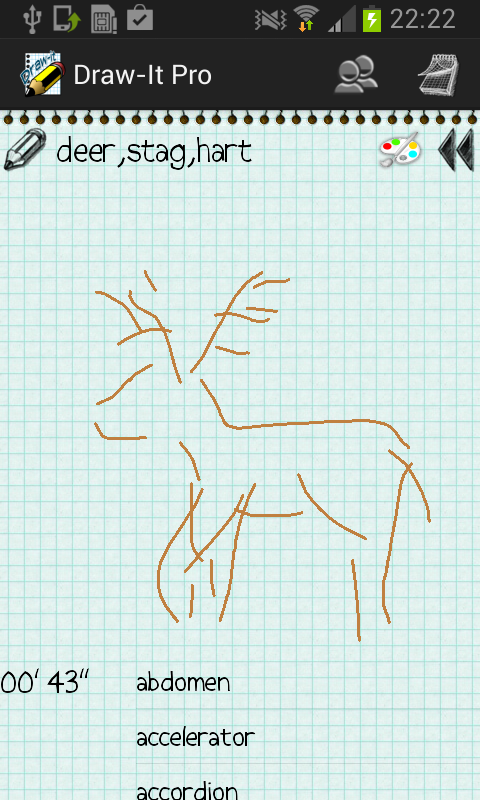 We have finally launched Draw-It at Google Play Store. 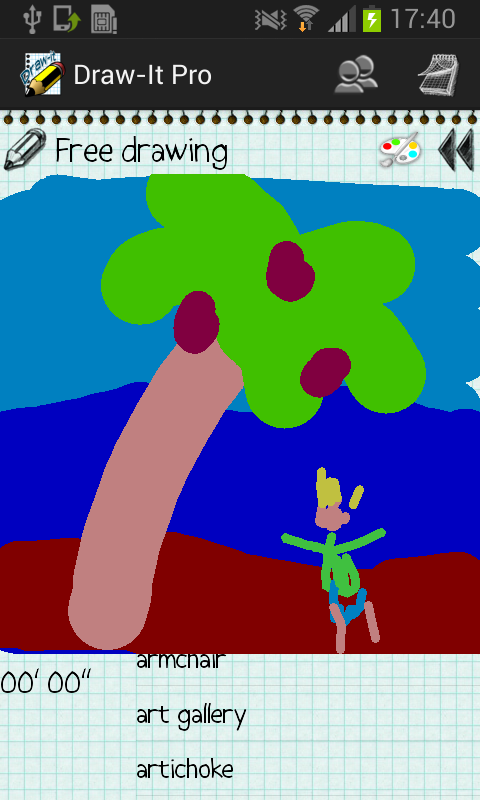 Draw-It is a multiplayer game of drawing and guessing. 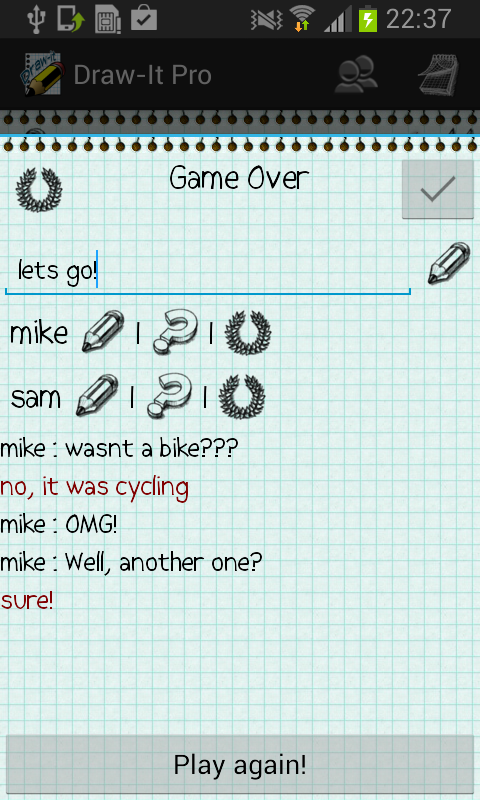 By turns, the game tells a player to draw something. 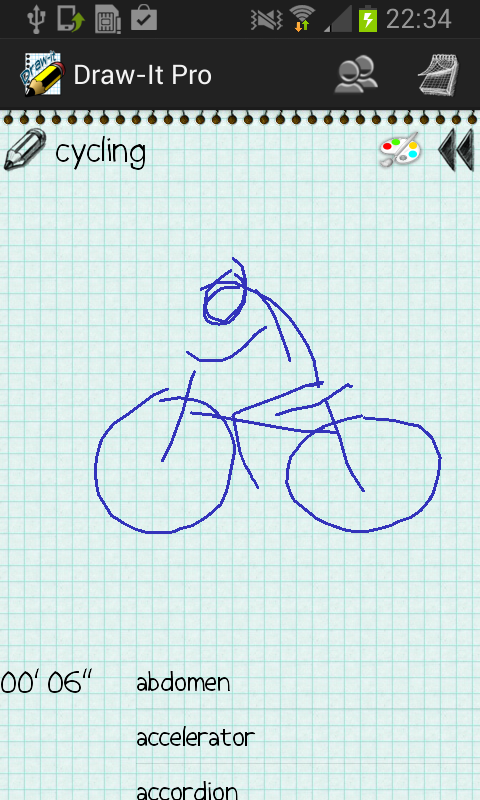 While this player is drawing, image is shown in real-time to the other players which must guess what it is. 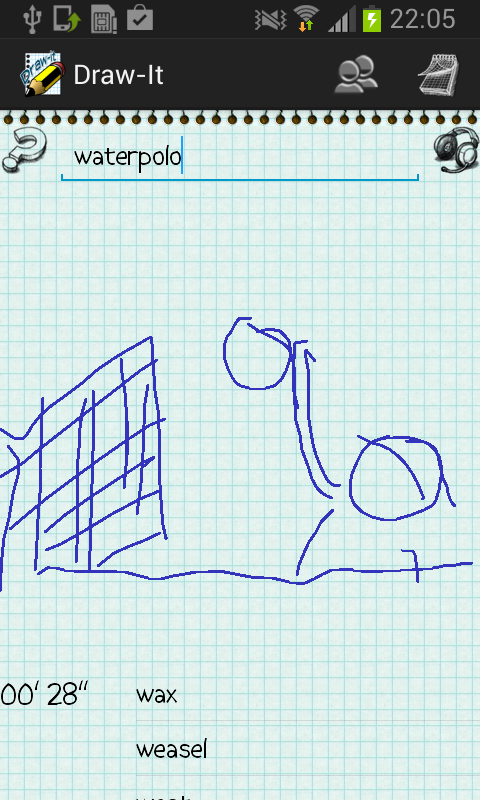 When someone gets it, a point is given to the guesser, and other point is given to the drawing player. You can guess the word by voice! Just press the button, tell the word when asked for, and Google voice recognition system will do the rest. It uses Google Play Services for multiplayer game, so your Google+ account is your identification. You can play up to 4 players in a game - Google Play Services limit. 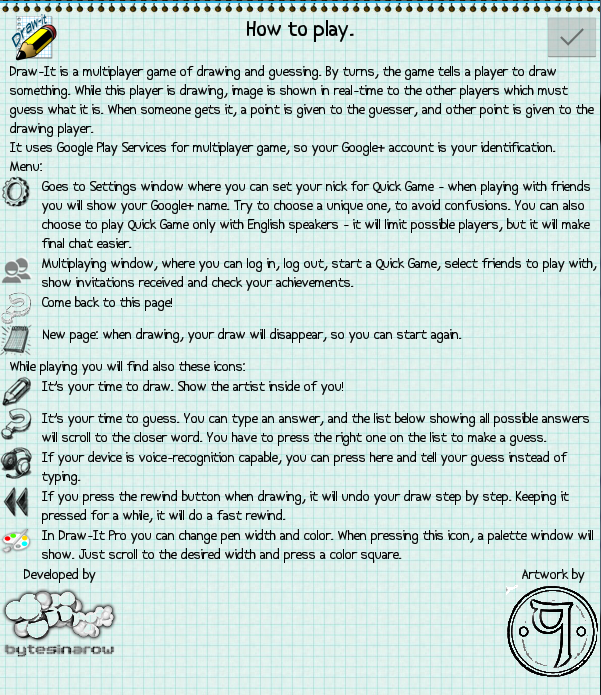 Invite Google+ friends to play or start a QuickGame, where you will be automatched to play with anyone in the world! There is a free adware version, and also a Pro version, where you get no-ads, a palette where you can change color an width of your pen, and you can chat with the rest of the players when game ends - you can receive messages in free version, but you can't send them. 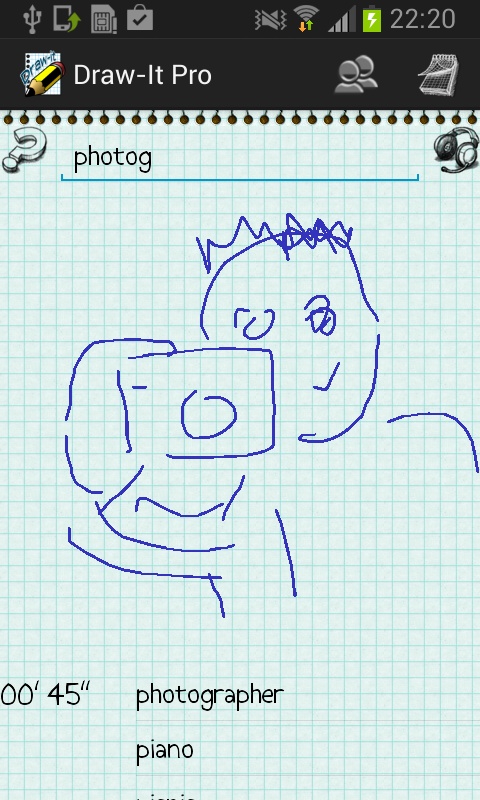 Try Draw-It, and show the artist you got inside!